a brown box, for you. 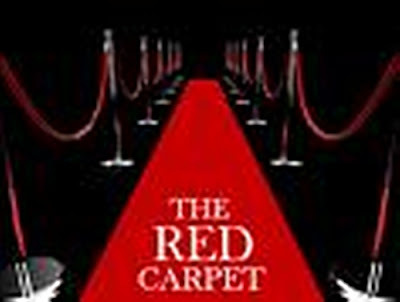 Stay tuned for a *SPECTACULAR* GIVE-AWAY* reveal!!! The title certainly applies to this rose fondant cake extraordinaire. The creator of this masterpiece is Miss Rose Levy Beranbaum at Real Baking With Rose. I'd like to try and recreate a mini version of this cake. Hopefully my mini version won't fall into the next Foodie Friday train wrecks and bloopers category. This takes bread and butter on the dinner table to a whole new level! Boutons de Rose for infusion. I love using roses embellishments. Their decorating and gift possibilities are endless. This was the first rose of the season. Paul found her in the rose garden after a rainfall. We have over 150 rose bushes!! A nice variety for making sugar roses. I want to share my idea with you. Melt white chocolate chips (Nestles), I added just a blush of pink. 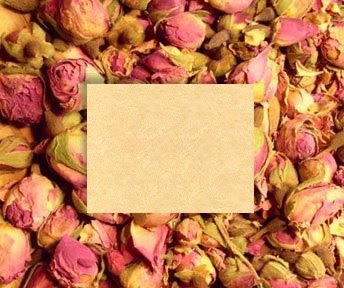 Use a liner a brush to apply a fine line of white chocolate around the edges of the rose. Sprinkling (no dipping) Wilton (clear white) sparkling sugar over the chocolate. by painting one entire side of the petal with white chocolate and repeat wit the sugar. The rose petals sparkle when the light reflects off the sugar. My sweet daughter in-law surprised Paul and I with homemade Red Velvet cupcakes. I topped them off with a trio of petite sugared roses. On the fully bloomed miniature roses , I sugared the entire flower just like I did the loose petals. I'll warn you...once you get started...it's very addicting! You'll be checking out the flowers in your garden with a new sugary perspective. I knew I had to order this Icy Gem Tray. I'm in favor of convenience when it comes to a beautiful presentation. Story Book Woods was my inspiration for giving roses as a gift to my neighbor. 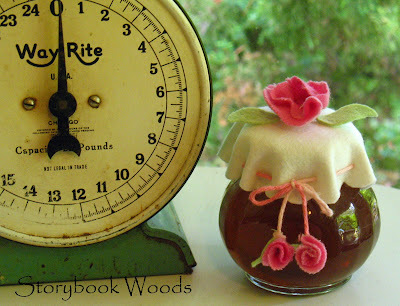 a bottle of rose water to make her own syrup, oil, or jam. I made a few ribbon roses for embellishing. These are the tags and label templates I made for your rosy creations. Please feel free to copy them. Come join me on the patio for a velvet cupcake and sparkling rose water with strawberries. Take a stroll over to our gracious hostess Designs by Gollum to visit the other foodie friends. WOW! What a rosey post! Sarah, beautiful! I've missed seeing you this summer. I'm still on break, but I think you might have me beat. What a sweet and inspiring post...I love pink roses. Have planted some more in the garden this year. But I did not know that you could do so many things with them. Pretty amasing blog! What lovely creations. I hope you enjoyed your summer. Welcome back! Love the roses! I'm gonna have to get out some chocolate and sugar and start playing! Wow, Sara, You are one talented lady! Your mini rose cake turned out wonderfully! Much too pretty to eat! 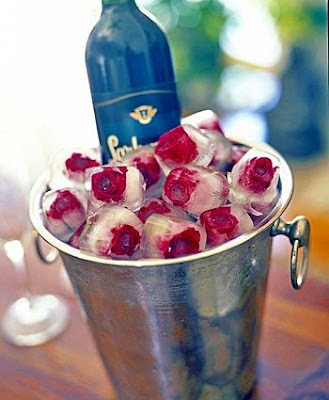 :) Love the rose/ice cubes too! ...great post altogether! So you like roses? I love the cake the most and the butter was really cute. I wonder if I could do this, maybe with a little practice.Thanks for visiting my blog.. I love your and plan to follow. 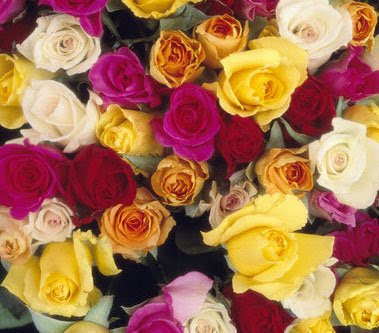 I love roses, and yours are gorgeous! Girl, you are a creative genius! How gorgeous are those sparkly flowers? I have to admit, I've never thought of roses as edible. You really drink water with roses floating in it? Hmmmm. Can't wait for you to reveal your giveaway!!! Hi Sara welcome back. After I answered your email I noticed Mandy had posted and I guess she has a new stalker. I just cannot believe it. I love all your beautiful flowers. I will be there for the cupcake!! It is too pretty to eat though. O, Sara...I was just thrilled to death to see that you left a comment...so glad you are 'back'!!! Hope you are rested and ready for Blogland again. These roses are just STUNNING. You just blow me away with your talents, Sara girl. Oh my...... I like like like your inspiring & rosey post. Thank yor för nice comments on my blog!! What lovely ideas!!! 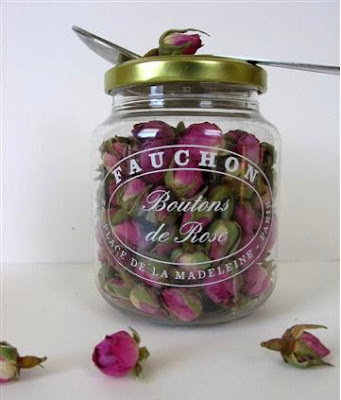 I love the jar of rosebuds, I must admit, that is my favorite, although I love chocolate painted ones, and the berries in the ice!!!!! I am so happy you had a good summer!!! what a wonderful post!!! now i am really mad that my rose bush died this year...REALLY mad...LOL...i just LOVE how gorgeous those cupcakes look with the roses on top...i put sugared pansies on a cake once...but i have never played with roses...how beautiful all of your roses projects are...thanks for sharing!!! I cannot imagine having the patience to create those! But I could eat that butter one. No problem. Lovely photos and I will make sugared roses, they transform a cake. AMAZING!!!! Your posts have the most beautiful things I have ever seen. I love them all. I would love to be surrounded by all the beauty of what you show us. those sugary roses are amazing ---who thinks of these things??? I have no talent whatsoever when it comes to things like that however. BUT --I love to see them. Now that I am settled, I hope to do a better job at visiting everyones blogs. Oh me, oh my! I can't even imagine having the patience to create roses the way you do! Glad you came for a visit and good to know you are back. Little breaks from blogging are definitely good for us. OMG! 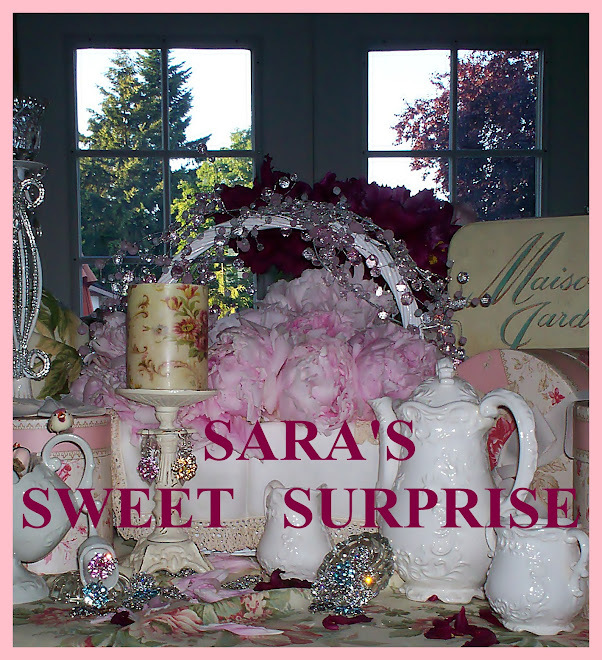 Sarah, those sugared roses are just exquisite! I would never have thought to put chocolate on them. Beautiful! WOW when you come back you come back in a big way. 101 things to do with roses. Fantastic! Come back anytime for a little visit. Sara welcome back from your break! Everything is so pretty and very unique. Love all the beautiful photos you have shown us. The butter rose is so cool. Thank you very much for your kind support and encouragement today. I really appreciate having such sweet blog friends like you. You're the best! Welcome back. Glad to see your beautiful post today. You sure have lots of rose bushes and made some amazing things with them. I loved it all, I am glad you are back too. I do not know if Natalie shares her cake recipes and yes I did get a piece and it was fantastic. Wow, Sara you are amazing!!! Those sugary roses are just gorgeous...and of course my favorite cake/cupcake of all time is RED VELVET! How could one even eat that cupcake though, too beautiful! So glad you are back! What a gorgeous post on roses! Love the sugared roses! Love the butter rose! Love it all! Sara, thanks for stopping by the Lace and Ivy Cottage and welcome back! My camera is loaded with lots of new pictures to share, but as of now I'm having some computer issues. Hopefully by next week I'll be back in full swing. Thanks for all the great ideas! Yes, I've got to try them for my next tea! 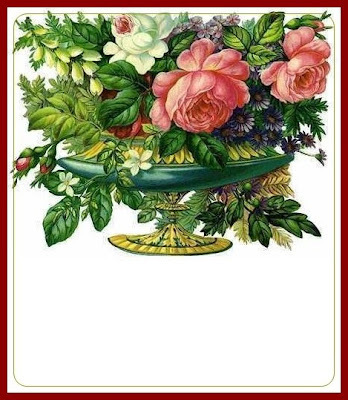 Oh I DO love roses -- what an wonderful post -- I can almost smell them! Thanks for your wonderfully kind visit today! Thanks for popping by the other day! I LOVE all your rose creations! There's no way I could do that--chaos and hilarity would ensue in my poor attempts! Hi Sarah! Oh, welcome back and I hope you've had a wonderful break! Oh, my goodness! I crown you the Rose Queen! Over 150 rose bushes! Your garden must smell amazing! Your candied rose tips are so beautiful! I'd be so scared to do this! You make it sound simple. I am amazed!!! Beautiful creations, all of them! Those cupcakes and butter-wowza~! Glad you are back from vacay, hope you had fun, I missed ya! Oh what a beautiful post. Thanks for sharing and sharing the instructions. I am becoming a rose lover. Thanks for visiting me. I have been on a break too not by choice too busy. I missed visitors thanks for coming by. Soo happy you took the time to come visit me.. I soo enjoy meeting new friends, especially when we LoVe the same, darn, sweet, girly things !! What beautiful creations you've inspired me with.. I just can't get enough of anything pink and roses.. Ooohh my..I'll be back soon.. wishing you a Wonderful Wednesday girlie !! Your rose gifts turned out so wonderful. I am sure the recipient, will be thrilled. Girl, I love all of this......I gotta try some of your ideas. Glad you are back from blogcation. Beautiful creations! Such eye candy! Thanks for your visit and birthday wishes. Those are just amazing. Especially the cupcakes!!! Do the sparkly roses keep? I have a few fall roses in bud now. If the Japanese Beetles leave them alone I will have to try this! What a lovely presentation it makes. So many pretty things to take in. Each one so unique. Hi Sarah! glad youre back.. and with a bang! Great Post! I dont grow any roses.. but maybe I should. love those sugared ones.. you dont eat them though, do you? anyways.. do have a great weekend! Welcome back! 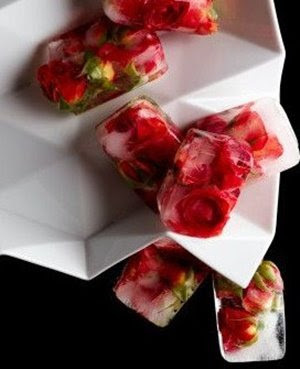 I love this post; especially the rose cake and ice cubes! Thanks for the tips and clip art too! Thanks so much for coming by and deciding to follow. I will do the same, as I think you may just teach me a few things! Wow, this is awe inspiring. I can't believe how beautiful they are. Your roses are just stunning. I will definitely have to try it. Thanks. Hugs, Marty, Also, thanks for stopping by and your gracious comments. I really appreciate the visit. Hi Sara- What gorgeous roses and a beautiful blog! Thanks for stopping by today and leaving such a nice comment. You're and evil temptress, oh my this looks good! Thanks for visiting my blog -! 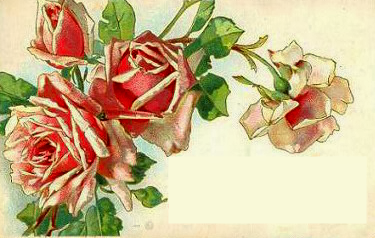 I love your post -I adore roses too ! 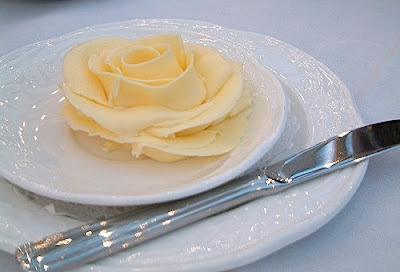 I really want to eat that butter rose, LOL ! These are absolutely gorgeous! I just want to sit and admire them!! I LOVE roses!! LOVE them!! Thank you so much for visiting my blog and leaving me such a nice comment!!! It led me to you! My table and chairs in my kitchen is a pub set which I got at Akin furniture in Fort Payne, Alabama. I will try and find out the maker of the furniture for you. I recovered the seats in the fabric that is on them, and cannot find the fabric anymore! I have been looking for it cos' I want more! Hi Sara, thanks for taking a peek at my blog & leaving just about the sweetest comments I've ever gotten! Your rose creations just look divine! Nice getting to know you! Take care! What a fabulous post. I have really enjoyed seeing all your lovely rose photos. Your presentation of the rose and raspberry gift jam is wonderful. I've always wanted to try sugared fruit and now sugared roses. Beautiful! Oh, Thank you for inviting me over! I had so much fun looking around! You do all the things I love! I done a few of the ice cubes and sugar cubes. I always say I am going to make rose water, syrup, and oil. I never done it! I do not have as many as roses as you, but I am working on it! 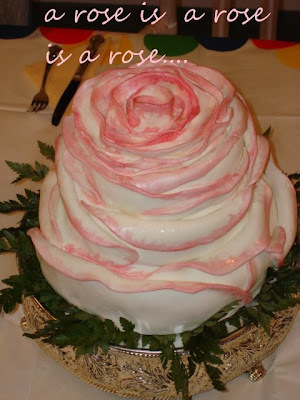 lol I love the rose cake and love the idea of the butter made in shape of a rose. I use to decorate cakes for everyone years ago. Think making a rose is like riding a bicycle? It comes back to you, for I road my Grandson bike just yesterday! lol I am 51 and not been on one since I was in my early 30's. Oh,the sugar cubes, I have the mold from my days of making mints! Oh, send me some rose water! I will take it to the hospital, for I know I will not get a good cup or glass of tea! What shall I drink? lol I will have to come back Thank you for coming by my site and leaving me such sweet comment and again Thank You for inviting me to Tea on your site! This is all just glorious! Ah...the sweetness of a rose. This post just made me feel so happy. Thank you for that! What gorgeous cupcake toppers! I don't think I could bear the take it off! Everything looks so beautifully done. Thank you for stopping at Loveleigh Treasures and you are welcome any time! Roses are the best! Sara- I am glad to see you back. Thank you for stopping by. I almost glad my roses are not blooming much any more--these are beautiful, but look time-consuming and addictive! Gorgeous ideas! Hi Sara, so pleased to meet you and have you come by for a visit. I love your blog and will visit often. The roses are awesome. I shall return. have a wonderful day. Your visuals are just exquisite. I love that word exquisite to describe you.